"In one spot near Christmas Island in the Indian Ocean, Eriksen spotted thousands of flip-flops that had likely carried over from the waters of Southeastern Asia. 'There were just stacks and stacks of them,' he says. 'I could’ve picked up 10,000 in an hour.' But the vast majority of the plastic in our oceans is what we can’t see." There are 5 trillion pieces of plastic floating in our oceans. 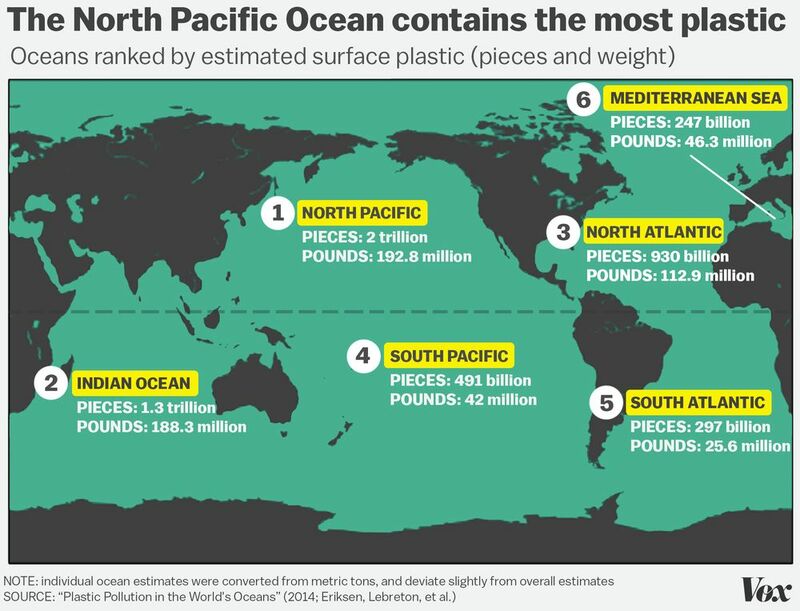 This map shows you where.The plastic in our oceans weighs the equivalent of 38,000 elephants, and, laid end-to-end, could circle the Earth 425 times.